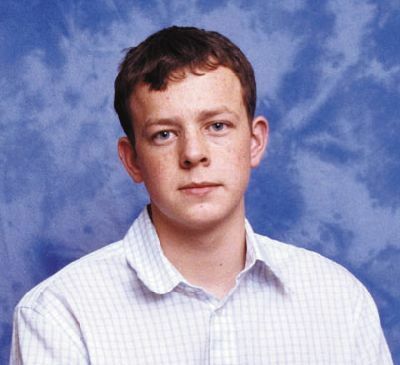 Anthony was born on the 16th of August 1986, and died on the 20th of September 2006. As a boy, Anthony was always smiling and was very quiet. He did well at school, never got into any trouble, got on with his work and always did his homework on time. At home you very rarely saw Anthony because he was always in his bedroom either doing his homework or playing on his Playstation. This was the case until he left school. His dad got him an Engineering apprenticeship when he left school, at Elmsteel where he was an Operations Manager. He settled in well at work and soon developed into an asset to the company. He passed all his exams during his apprenticeship and surpassed all expectations held by Elmsteel. Anthony life seemed to change when he reached the age of 18. He still worked very hard, but outside of work he started to not be the shy boy he had been in the earlier years. During the week after work he would go to the gym for an hour or two, then take his mother to work. After that he would go jogging for about five miles and then he would go onto the punchbag for about half an hour. He was an extremely fit young man. At the weekends, Anthony started to enjoy the social side of life, as you would expect any 18 year old to do. However, he always found time for his family. He used to take his brothers or sisters out to the cinema, or maybe Drayton Manor or Alton Towers. He even went camping with us to Billing Aquadrome. During this period he had also passed his driving test, and after a couple of years he finally got the car of his dreams. A Vauxhall Astra SRI. This was his pride and joy. All he did was talk about his car, to anyone that would listen! We enjoyed many family holidays together. Places like Majorca, Ibiza and Lanzarote. In fact, he had been with us to Majorca two weeks earlier. On the morning of 20/09/06 his mother went to wake him up for work at approximately 7.30am, as she thought he had overslept. She went into the bedroom and Anthony was lying on the floor by the side of his bed. First impression was Anthony was messing around, but then Jane soon realised he wasn’t, and started to shake him. She tried to pull Anthony by the arm to get him back onto the bed but to no avail. Jane then ran down stairs and phoned the emergency services and also asked neighbours to help. Several neighbours rushed in to help but it was all too late. Anthony was a prime example of a son that everyone would want. He never got into any trouble, worked hard and played hard at the weekends. He had so many friends, both young men and women. He will never be forgotten but he will be sadly missed. “Anthony was always a very important part of the Elmsteel family. His warm, laid back manner ensured that he made friends with everyone and he was loved and respected by all. Anthony worked primarily in the toolroom, where he progressed from a shy young lad to a competent and reliable engineer. His resilient and mature attitude, enabled him to master the skills required to qualify in August 2006 as a Toolmaker. Being a multi-skilled engineer, Anthony was moved around the organisation frequently. His ability to learn and become skilled in new processes, proved invaluable to the organisation in the impletmentation of new products and equipment, and was the foundation upon which he was offered a new position, as Trainee Manufacturing Engineer, commencing September 2006.